I was born on a rainy winters day. My mother licked me and moved me closer to her. I was, as a newborn, to weak to do much, so i just squirmed about, and went contentedly to drinking my mothers milk. Two weeks after I was born, I opened my eyes. I seen my one alive sister, Jade. We were the only ones who survived the storm and our fathers hate. Our father was a cruel wolf. He had not wanted pups. He killed all that was left of us after the storm. But mother protected and managed to save us. Now our father had left, mother went out on her own to find food. But Jade and i just snuggled closer. Months later, my sister and I toddled out of the den for the first time. We explored our surroundings, and were happy. On my first birthday, my mother was killed by my father. My sister and i ran away, heartbroken. We caught small animals to sustain us. One day, it had been a long time before we had eaten, I woke up. I tried to wake my sister, but she didnt wake.Being a young wolf I stayed by her side..But her eyes never opened again..I took off, and a week later it was my second birthday. It was then I found my father, and killed him. I set off yet again, and I was on the brink of death when a wolf called Jemika found me. She looked around, then she hunted down a hare and gave it to me. I was now laying down, so i lifted my head and ate it. Later i got up and Jemika and i ran for several months, until we were ambushed and Jemika was killed. I ran for another two years, eating hares and weak prey along the way. 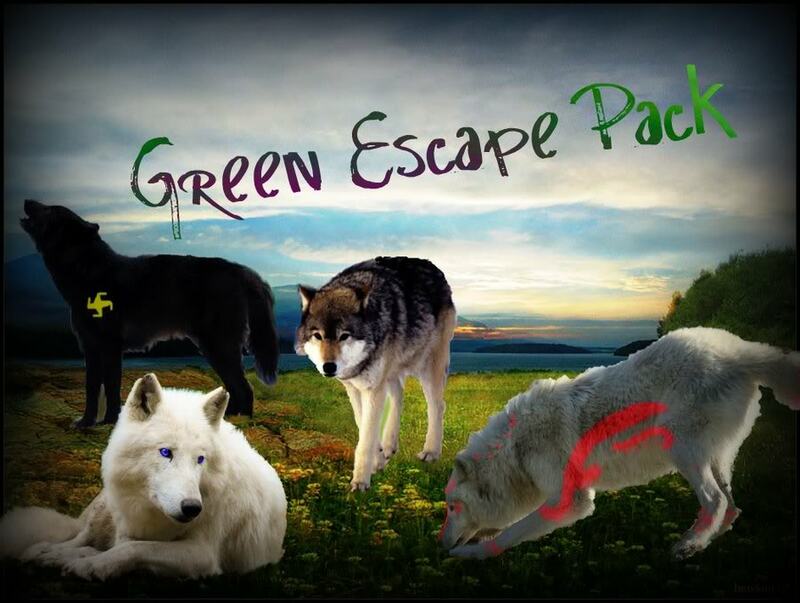 I was soon 4, and I found Green Escape Pack. I am here now, as happy as ever but mourning my losses. THE END. Location : Howling at the moon with the pack.